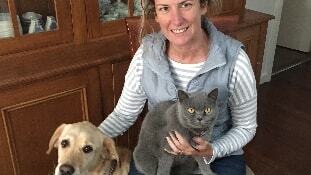 We are a family of 4 in Claremont with a Golden Labrador, a British Shorthair cat and two goldfish. I am a stay at home mum and have plenty of time to take a dog for a walk during the day or evening and on the weekend. We provide the utmost love and care to our pets and have enough room in our hearts to take on some more and give your pet the personal love and attention it deserves. Our cat is extremely placid and is not worried by other dogs. Our Labrador is friendly and sociable and would love a play mate! We have a large backyard and also have a park right across the road where our dog loves to run around and play! Mary-Ann was excellent in looking after our Pet I would highly recommend . I've always had and loved pets, from being a child at home to owning my first cat when I left home at 18. Growing up in the country I have always been surrounded by animals and I couldn't image life without a pet or two in it! !